My Thoughts: Well as you all know I’ve been on a “graphic novel” kick lately. 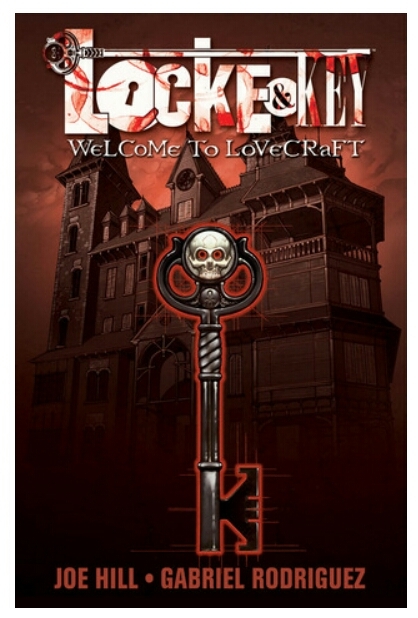 I picked up Locke and Key because I figured by the author and the description it would fit with my October spooky reads. I was not dissapointed…. This graphic novel was gory, super creepy, and full of suspense. I am obsessed (I just finished vol 2) I was on the edge of my seat and felt like I was watching a scary movie rather than reading a “comic”. I gave this 4.5 out of 5 stars. If you like horror and graphic novels pick this one up. Happy Reading Y’all!!!!! !